There are two main types of credit cards to build credit with: secured credit cards and unsecured credit cards for people with limited or no credit. A student credit card may also be an option if you’re in college. We recommend seeking out the cheapest offer that you can get approved for. Your goals at this stage should be to save money and start building your credit as soon as possible. 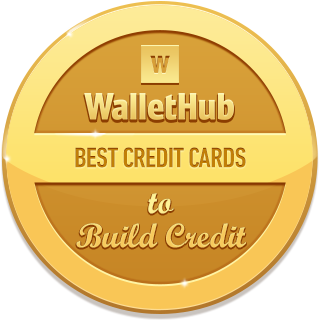 You can check out the cards that WalletHub’s editors recommend for different types of credit-builders below. Continue reading to learn more about the market’s best credit cards for building credit. If you’re looking for a card to rebuild your credit with, check out the best credit cards for bad credit. show less The best credit cards to build credit with charge low annual fees, often $0, and accept applicants with limited or bad credit. In general, using a credit card responsibly is the easiest way to build credit. All major credit cards report information to the credit bureaus, which means on-time payments will build positive credit history. Plus, credit cards can be free to use (some offers are from WalletHub partners). And credit cards don’t force you to go into debt. Capital One’s Platinum Card has long been one of the best unsecured credit cards for newcomers. This is largely thanks to its no-frills offer, which features “no annual fee,” and the fact that it’s available to people with very limited credit experience. In short, it’s a great way to build credit inexpensively. Just make sure to pay in full every month, as Capital One’s cards for people with no credit have pretty high APRs. QuicksilverOne is an excellent option if you plan to charge at least $217 to your card each month. That’s how much you need to spend for QuicksilverOne’s rewards (1.5% cash back on all purchases) to cancel out its $39 annual fee. 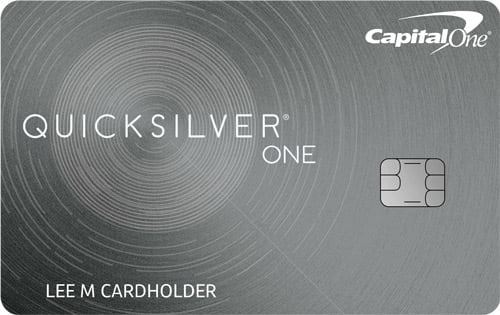 For more information, check out WalletHub’s full review of the Capital One QuicksilverOne Card. If you’re working to rebuild damaged credit, as opposed to building credit from scratch, Discover it Secured is a great choice. It’s unique among credit cards for people with bad credit for a couple reasons. For starters, it’s one of only a few offers that don’t charge annual fees. Plus, it actually gives you the opportunity to earn some rewards – pretty good ones, at that. 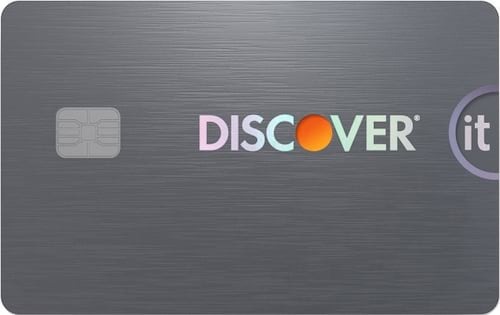 You can learn more about the Discover it Secured Card from WalletHub’s complete review. The Capital One® Secured Mastercard® is one of the best credit cards for building on limited credit or rebuilding bad credit because it has a $0 annual fee and reports account info monthly to the major credit bureaus. The Capital One® Secured Mastercard® also is a rare type of secured card whose spending limit can be higher than the security deposit you’re required to place to open an account. 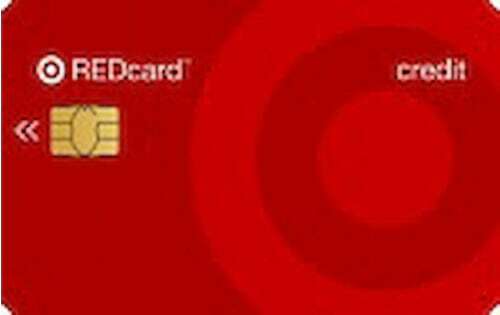 The card’s standard starting limit is $200, and you may be required to place a refundable deposit of $49, $99 or $200, depending on your overall creditworthiness. 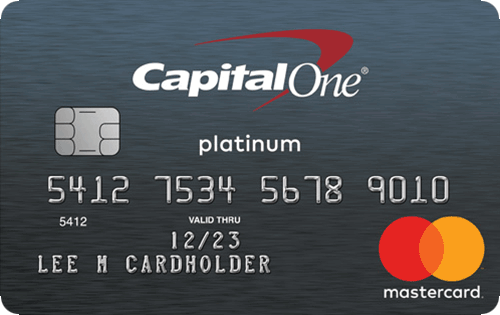 For the full scoop on this card, check out our complete Capital One Secured Mastercard review. If you’re really worried that your credit history – whether bad or nonexistent – will prevent you from starting the credit building process, OpenSky is an interesting option. While it does charge a $35 annual fee, they won’t check your credit when you apply. 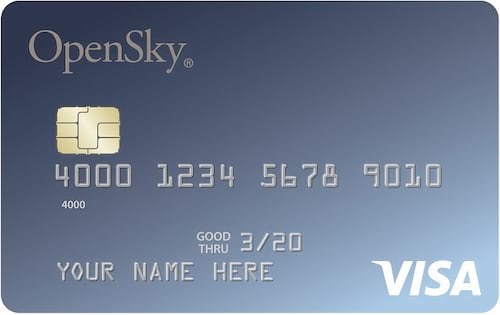 You can find more information in WalletHub’s OpenSky Visa review. 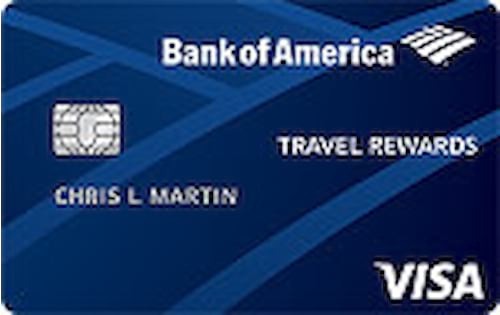 The Bank of America® Travel Rewards Credit Card for Students is one of the best credit cards for students to build credit with because it has a $0 annual fee, it reports to the major credit bureaus monthly, and it rewards cardholders handsomely. Online applicants who spend $1,000 in the first 90 days get 25,000 points, good for statement credits to cover $250 in travel purchases. Cardholders also earn 3 points per $1 spent at the Bank of America Travel Center and 1.5 points per $1 on everything else. This BofA student rewards card provides plenty of other perks, too, including an introductory APR of 0% for 12 months on new purchases, a $0 foreign transaction fee, and a special rewards bonus just for people with a BofA bank account. 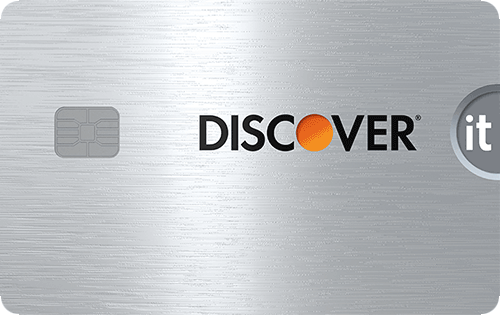 Discover it Chrome for Students is great for building credit at no cost and earning bonus rewards along the way. The card has no annual fee and no foreign transaction fee. It gives 2% cash back on up to $1,000 spent at gas stations and restaurants each quarter, plus 1% back on all other purchases. And Discover will double all the rewards you earn the first year. They’ll even throw in an extra $20 per year for good grades. People with poor credit who need to borrow a bit from their credit card as they rebuild their credit score don’t have a lot of options. But the Credit One Visa is a solid choice. It has an annual fee of $0 - $99, depending on each applicant’s creditworthiness. It also has a $300 starting credit limit. Bear in mind, however, that any balance you carry from month to month with this card will accrue interest at a high rate: 20.24% - 26.24% (V), again depending on creditworthiness. To learn more, read our complete Credit One credit card review. Given the importance of the right plastic to the credit building process, we’ll recap WalletHub’s picks for the best cards to use, below. Check out our editors’ picks for the year’s best starter credit cards for more money-saving offers. WalletHub’s guide on how to build credit also has plenty of pointers to help get you started on the right foot. To identify the best credit cards with which to build credit, WalletHub’s editors regularly compare 1,000+ credit card offers based on their approval requirements, fees, rewards and interest rates. We also take some key secondary factors into account, such as whether a security deposit is required or an applicant must be a student to qualify. We start by identifying the cards with the lowest annual fees, preferably $0 per year, as it is best to keep costs low while building credit. We then identify the cards with the best rewards, using low APRs as a tiebreaker, because people working to build credit should strive to pay their credit card bill in full every month. Given that many different types of people may find themselves looking to build credit, there are several types of credit cards to build credit with. In addition to “normal” credit card offers for people with limited or bad credit, there are secured credit cards, which require a refundable security deposit, and credit cards for college students. We try to include a mix of offers in this list, accordingly. How do you build credit with no credit? It might seem like a bit of a chicken-and-egg situation, but building credit with no credit isn’t as hard as you might think. All you really need is a credit card, and there are many cards you can get without any credit experience. Don’t Have to Cost You a Thing: There are plenty of no annual fee credit cards for people with no credit or bad credit. And credit building doesn’t require making purchases. Even a credit card with zero balance will help you. That’s key because loans will generally force you into debt. Report Monthly to Credit Bureaus: All major credit cards report information to the three major credit bureaus on a monthly basis, usually at the end of your billing cycle. This gives you the opportunity to quickly establish credit history from scratch or reduce the impact of previous mistakes. You just have to pay your bill on time. Are Pretty Easy to Get: The easiest credit cards to get, which are generally secured cards, offer nearly guaranteed approval. You just need to be at least 18 years old with enough income or assets to make monthly minimum payments. In other words, there isn’t much standing in the way of you building credit. Our editors' recommendations for the Best Credit Cards to Build Credit are a reflection of their own subjective opinions, and they should not be relied upon as the sole basis for choosing your financial product.